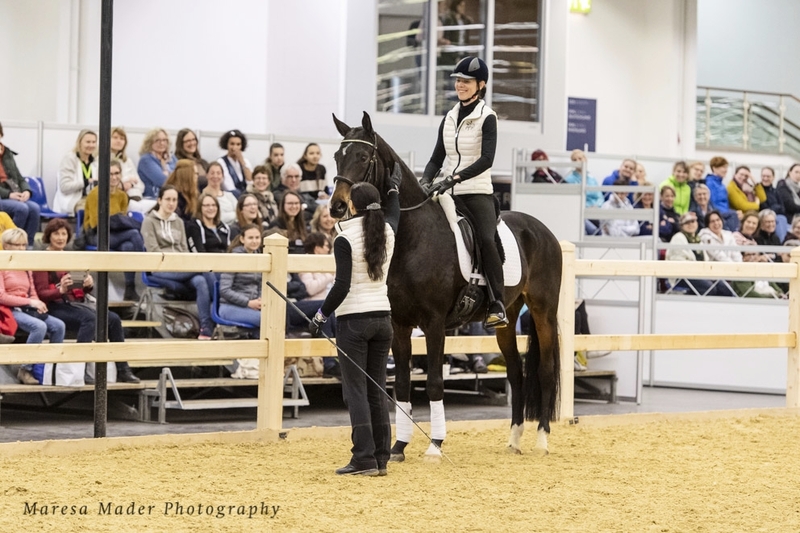 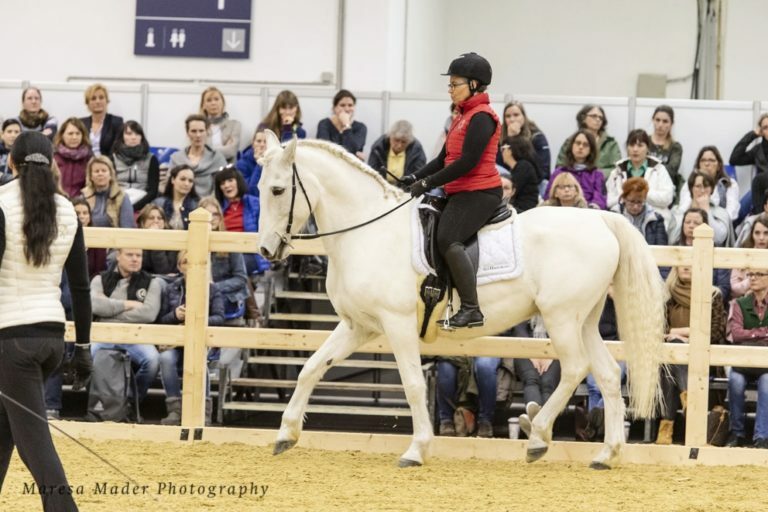 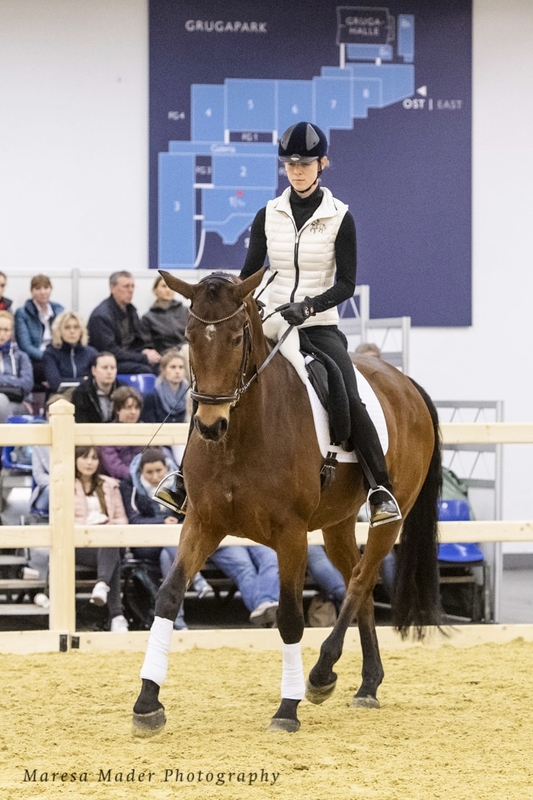 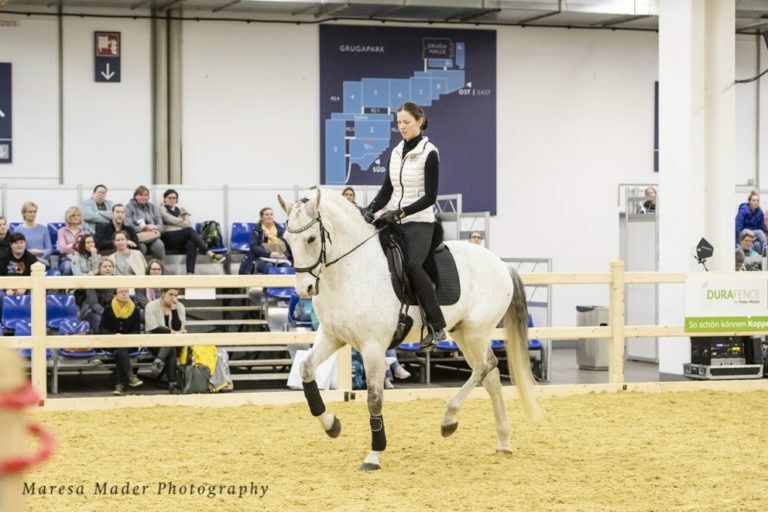 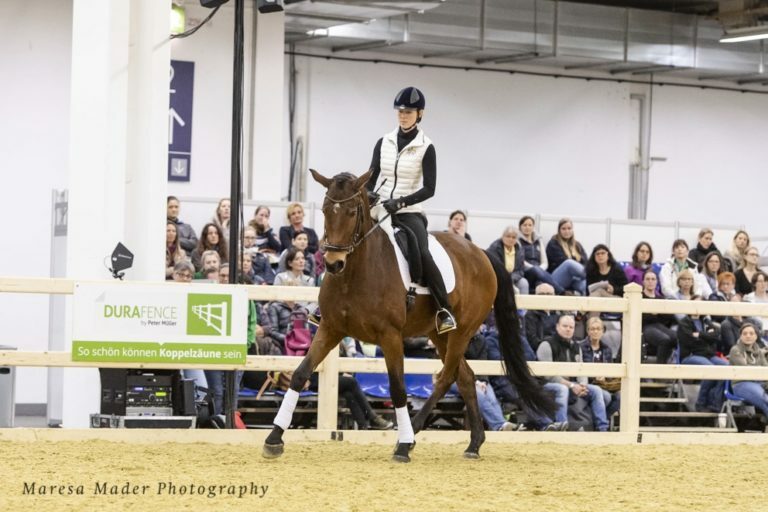 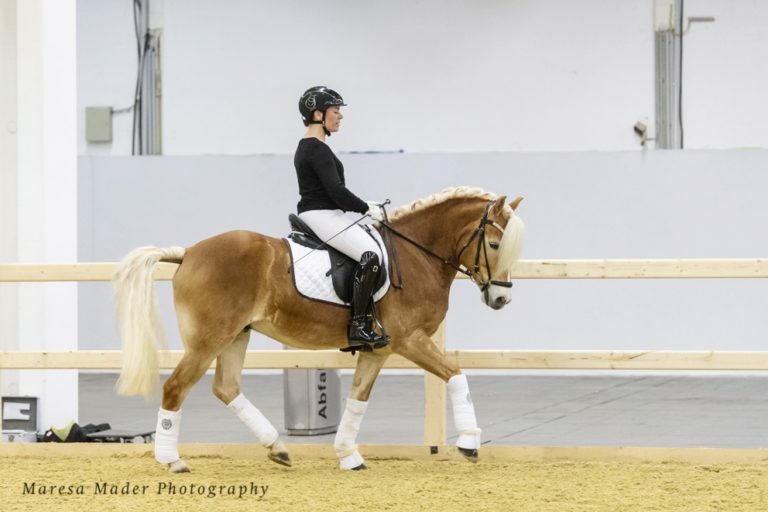 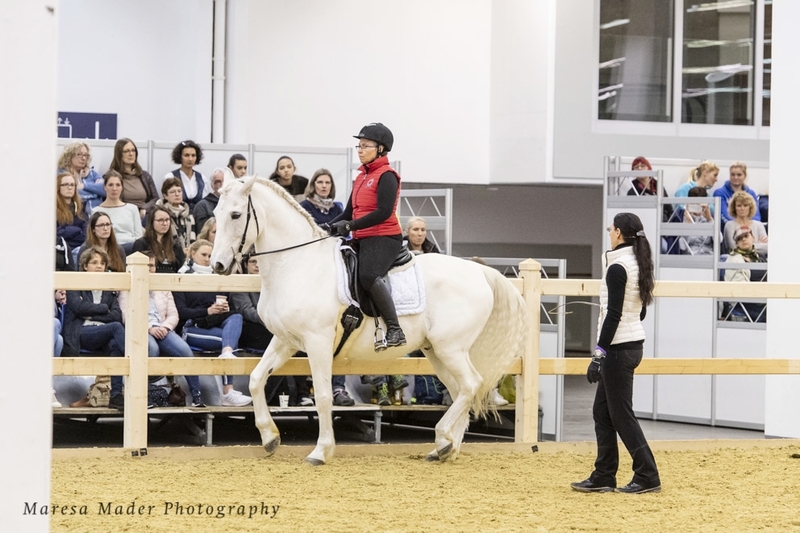 As part of the seminar series EQUITANA EDUCATION, three riders could apply to complete two training sessions with Anja Beran. 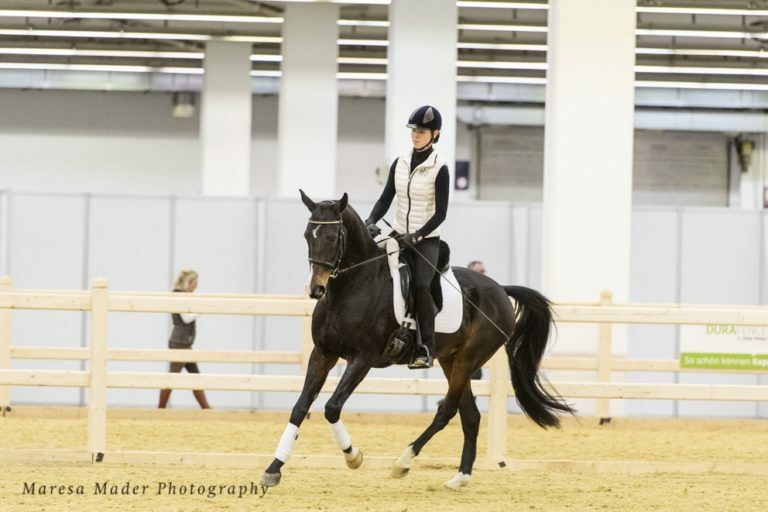 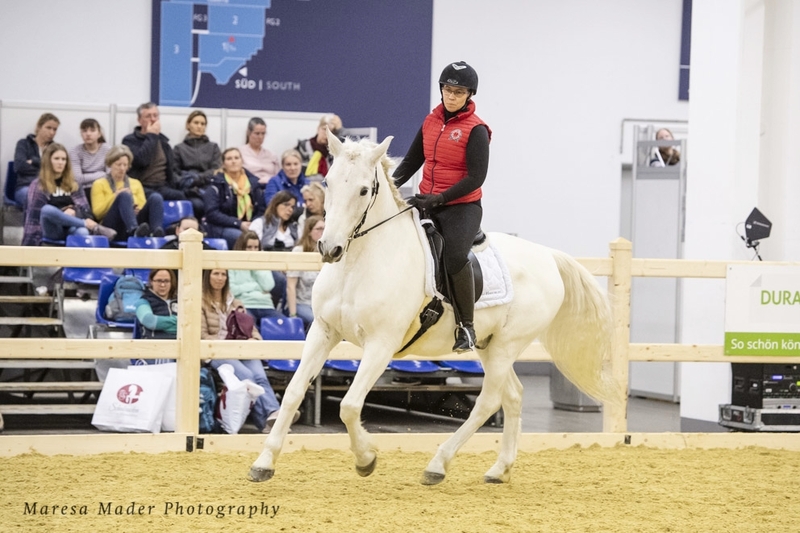 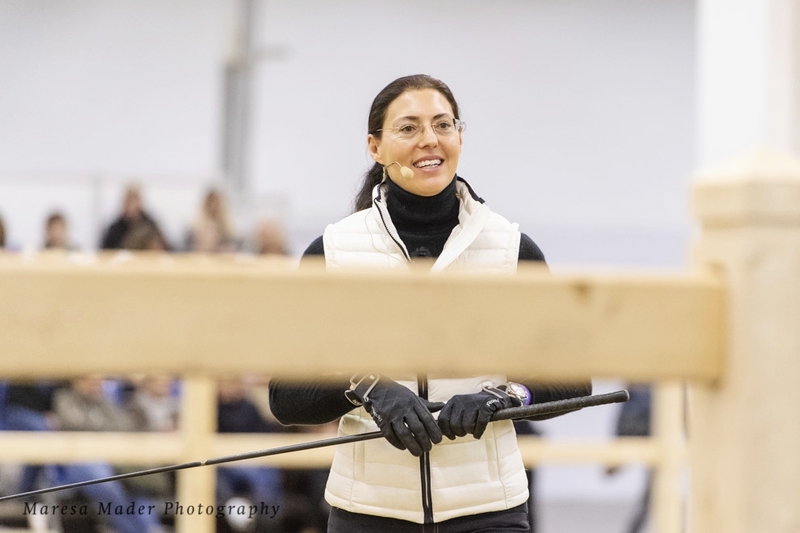 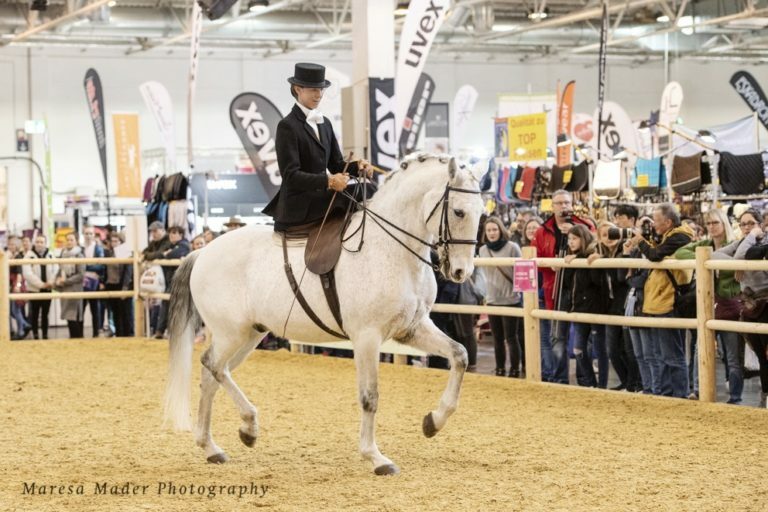 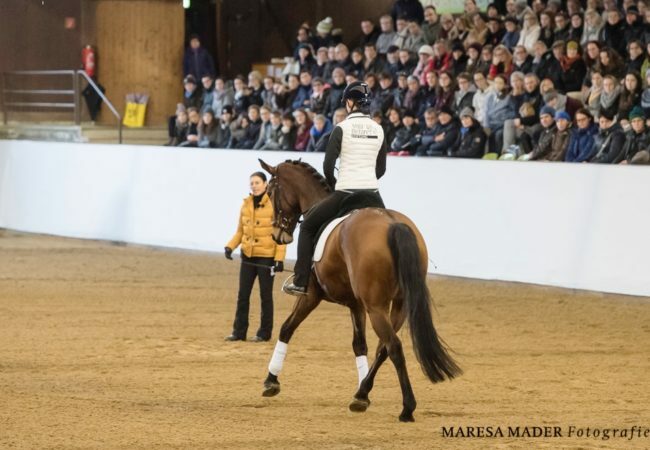 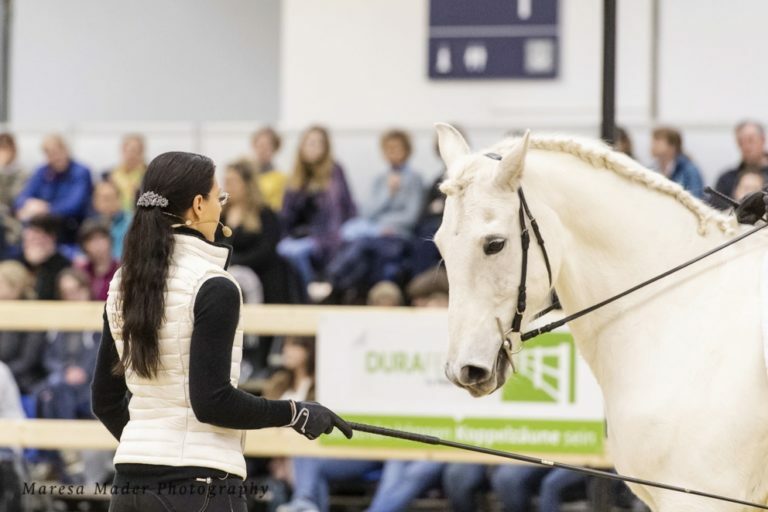 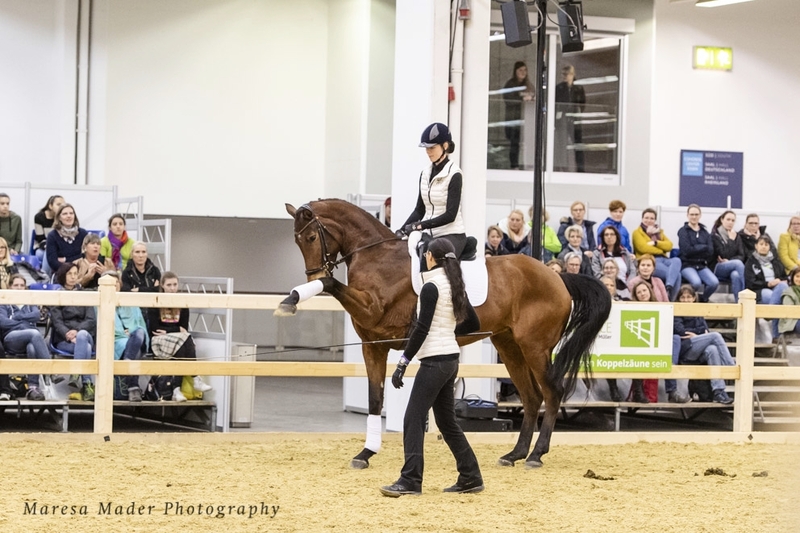 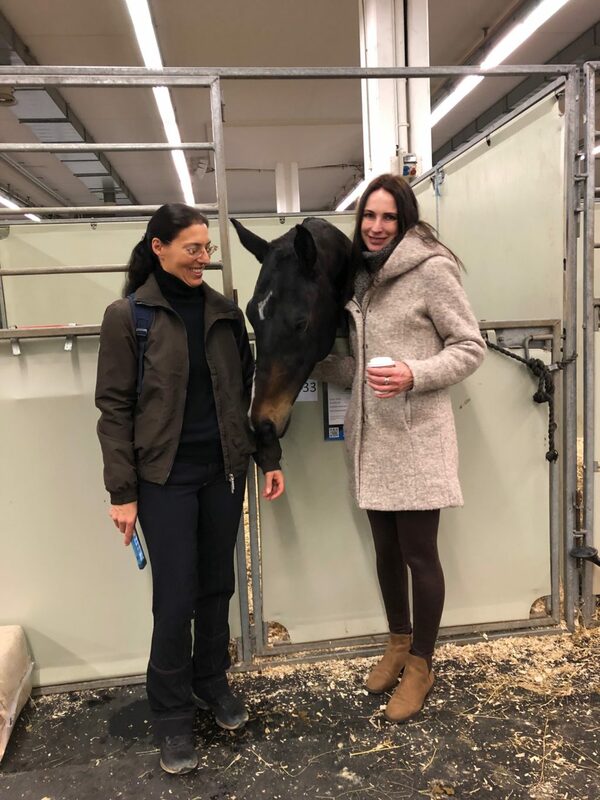 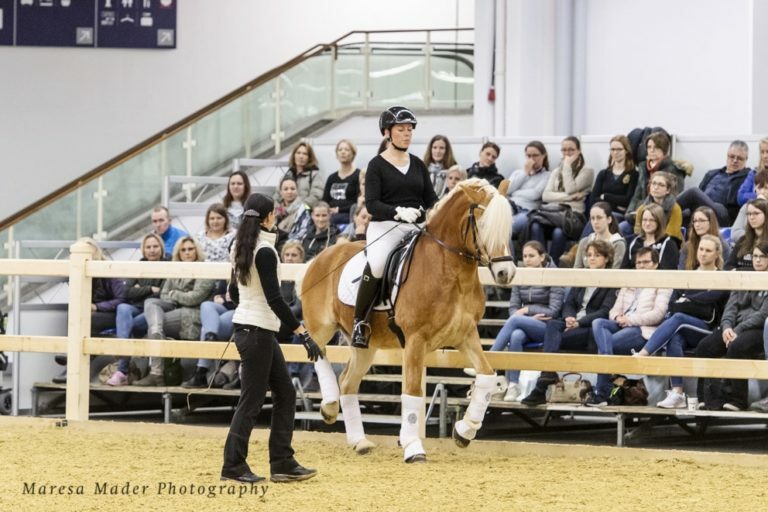 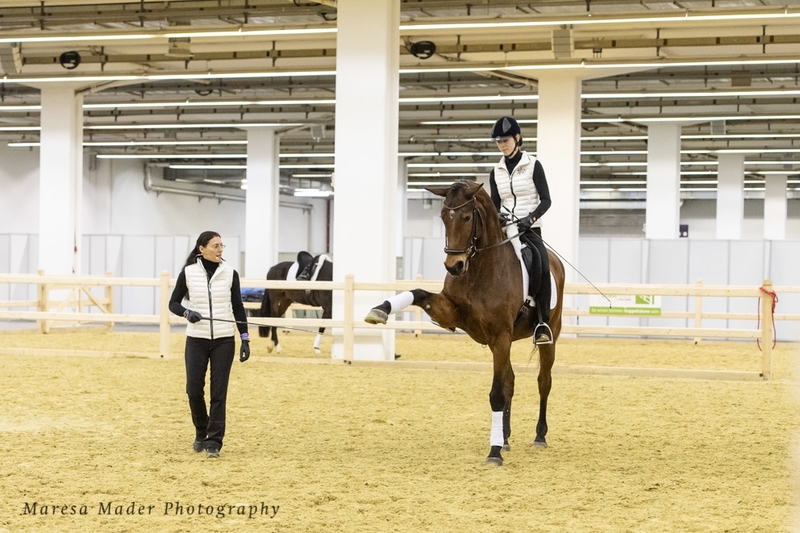 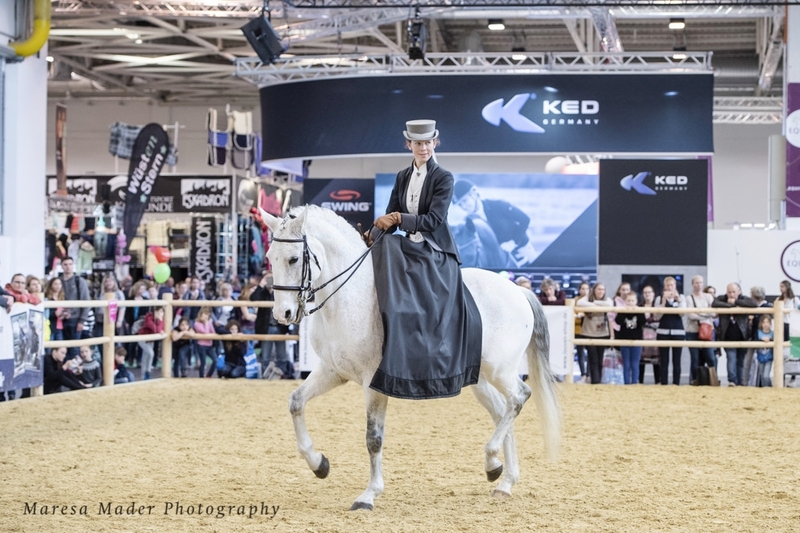 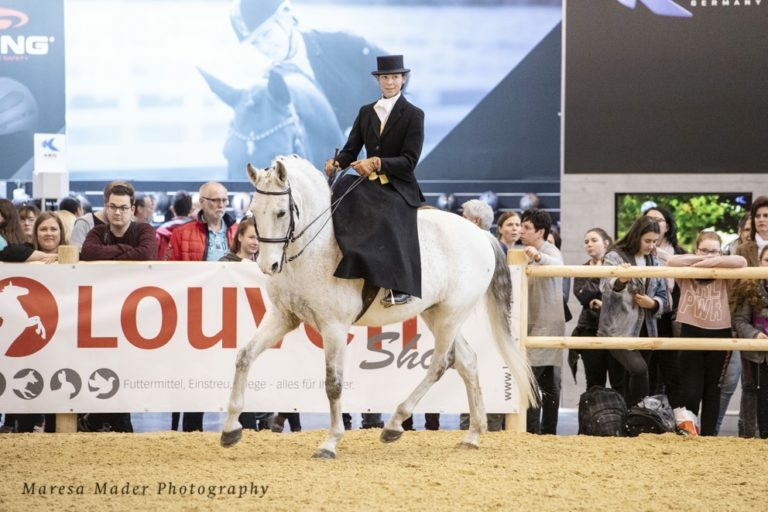 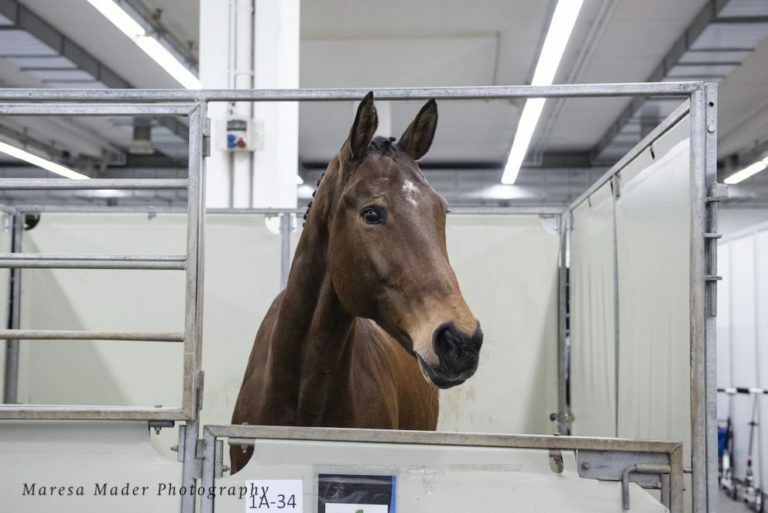 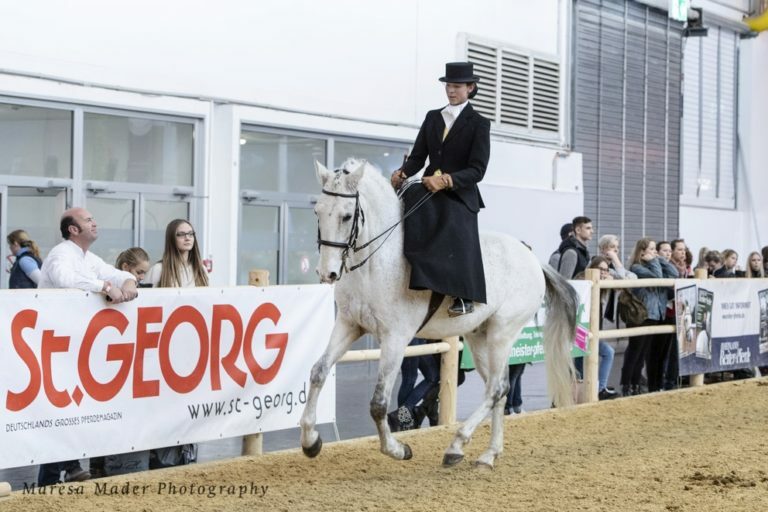 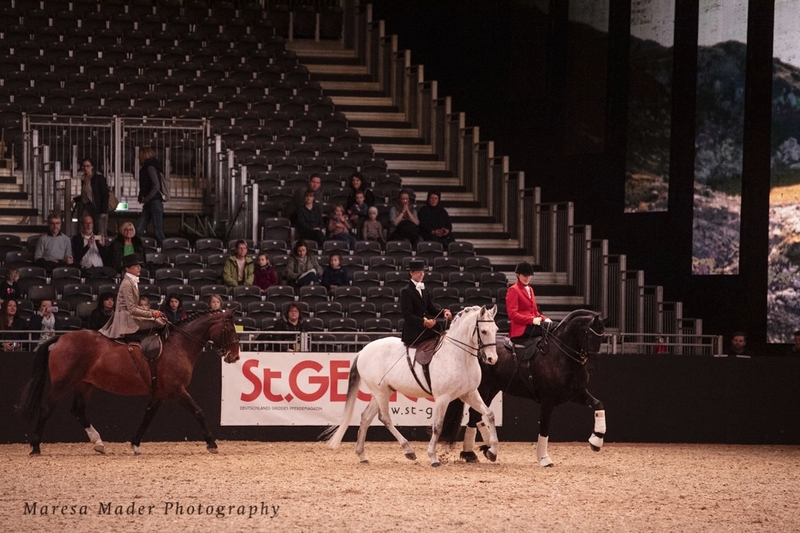 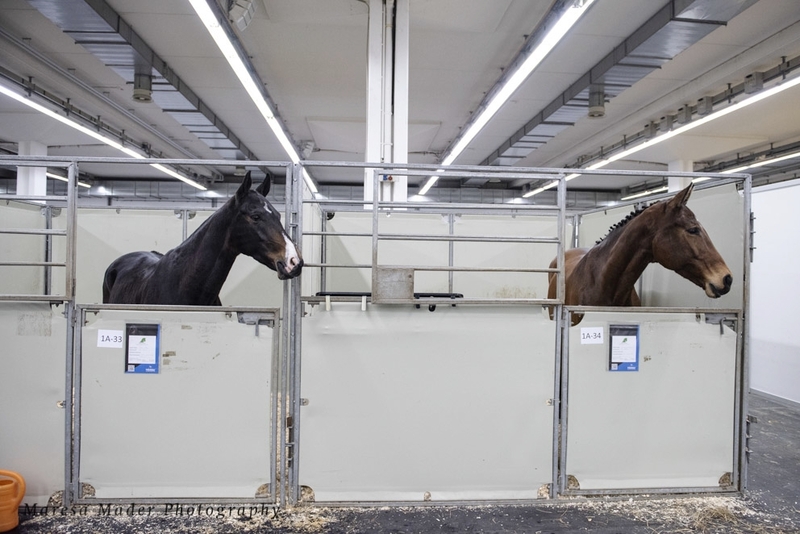 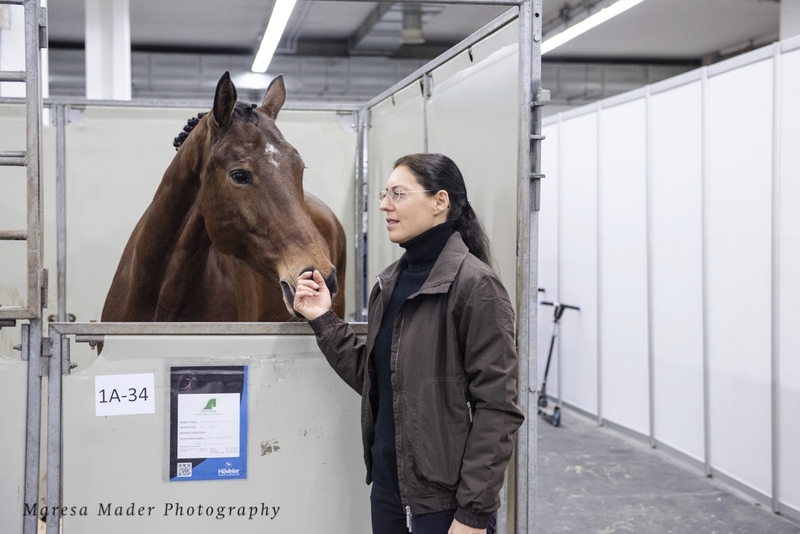 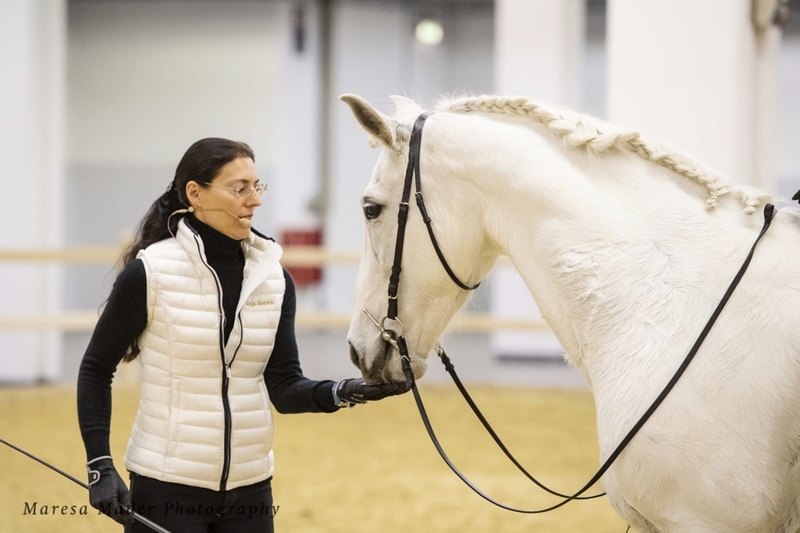 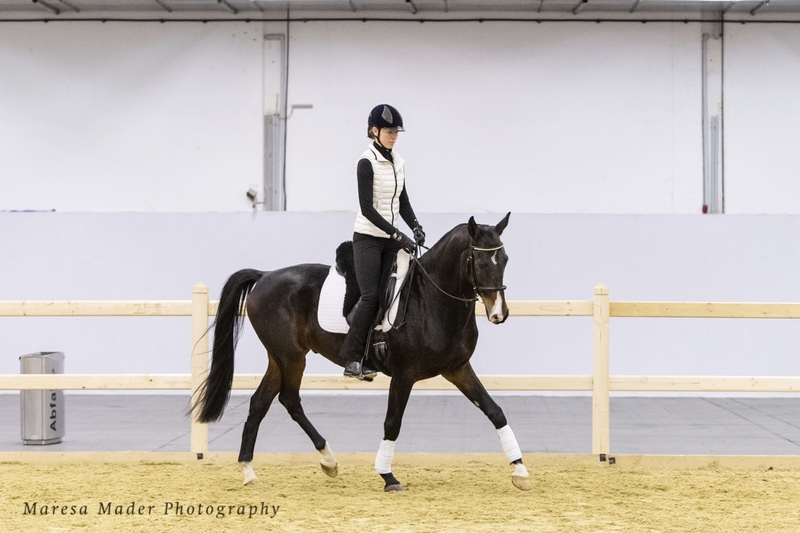 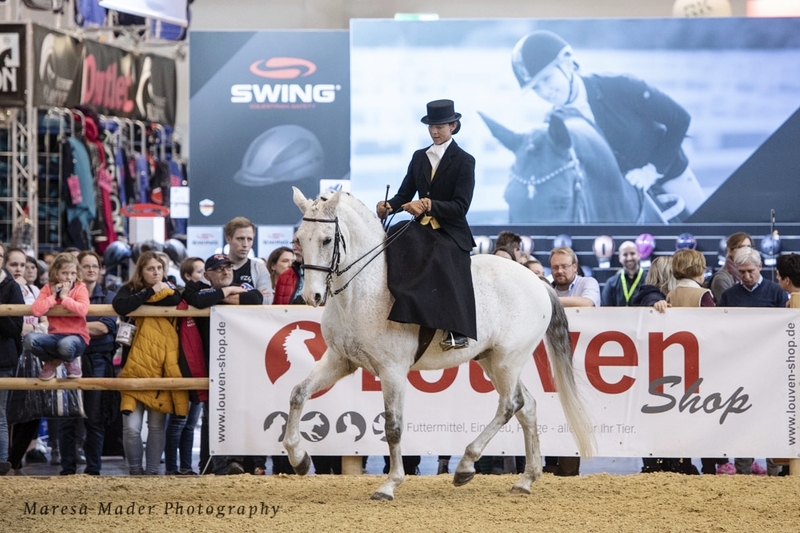 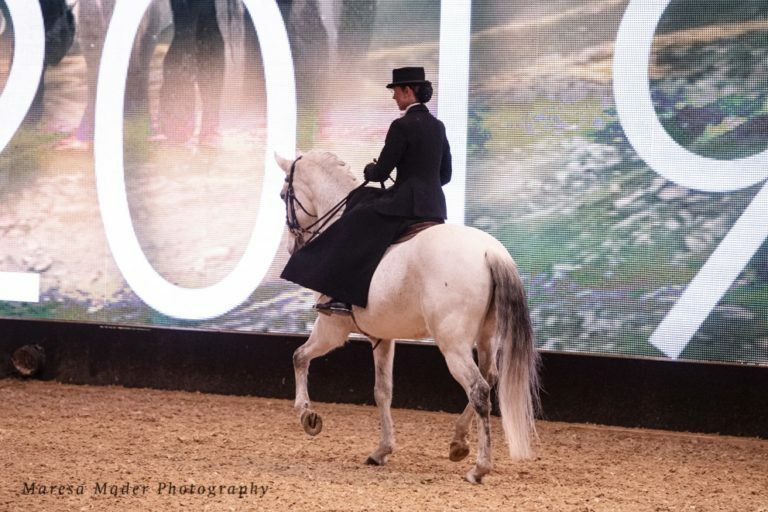 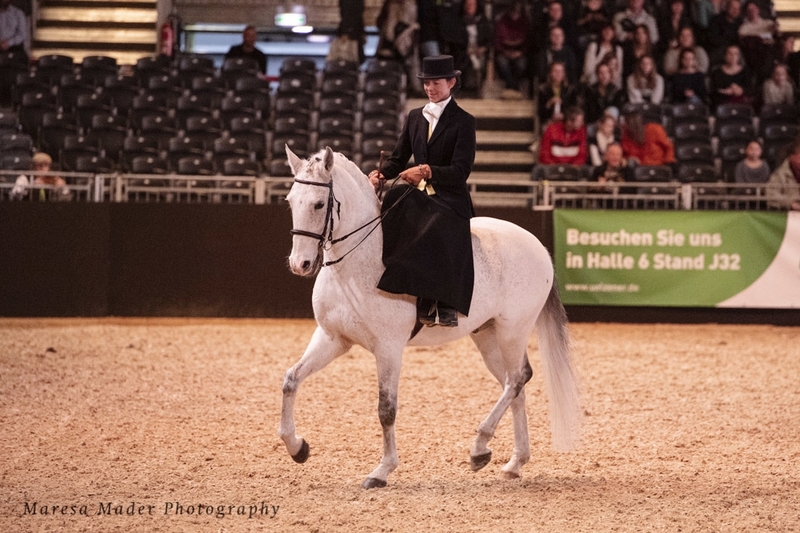 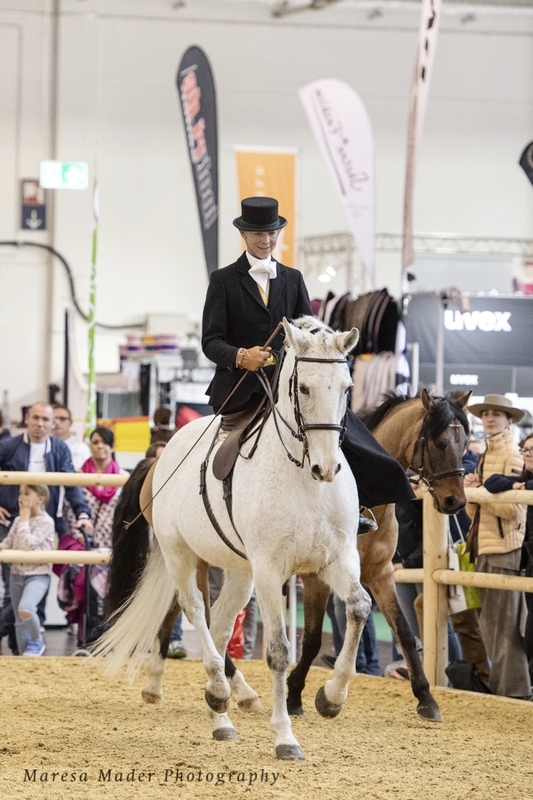 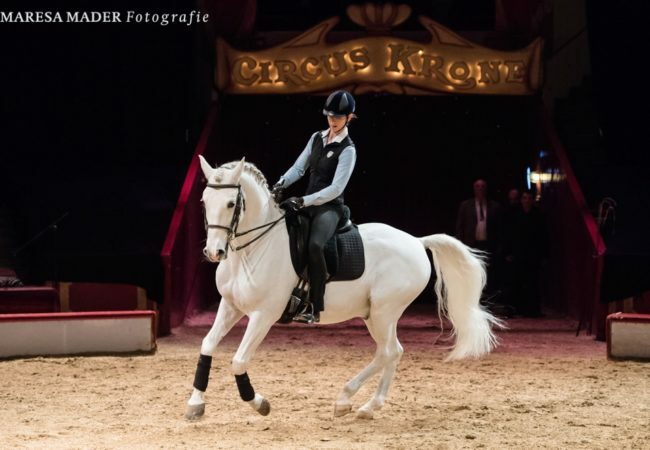 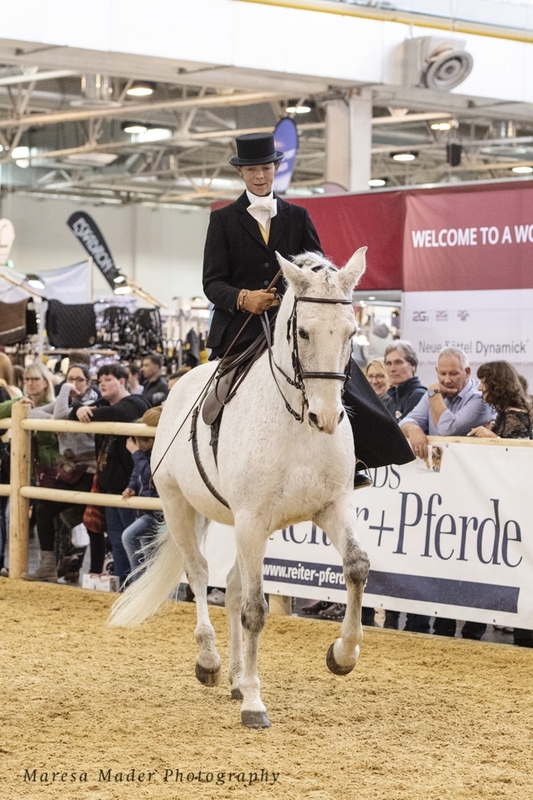 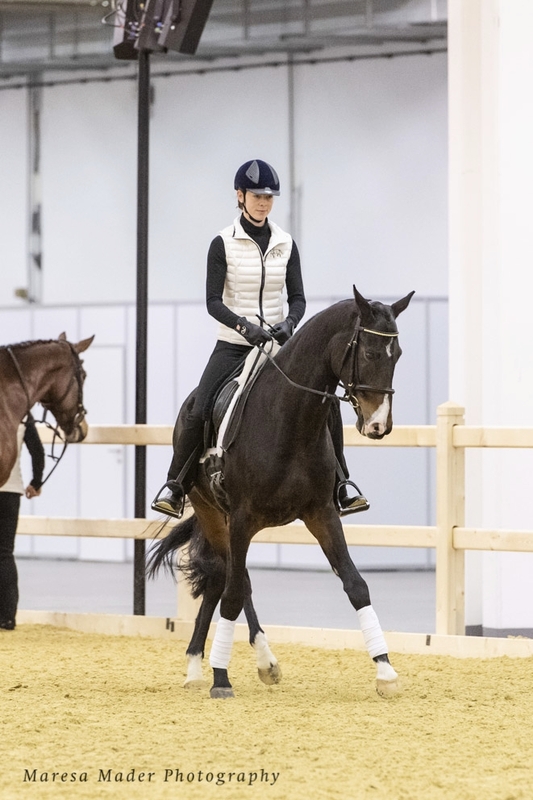 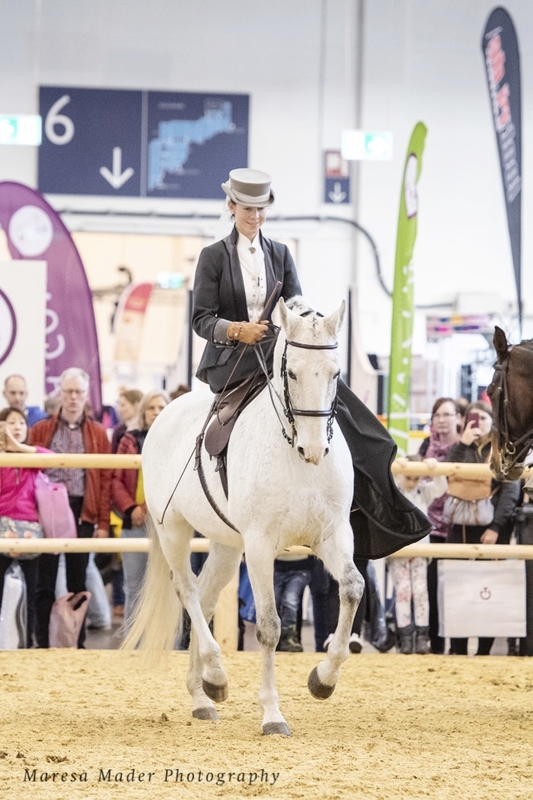 In addition, the team of Gut Rosenhof traveled to Essen with three of their own horses, presented by first rider Vera Munderloh: the Bavarian mare Amazing Grace, the Akhal Tekke Degni Shael and the Lusitano Bue. 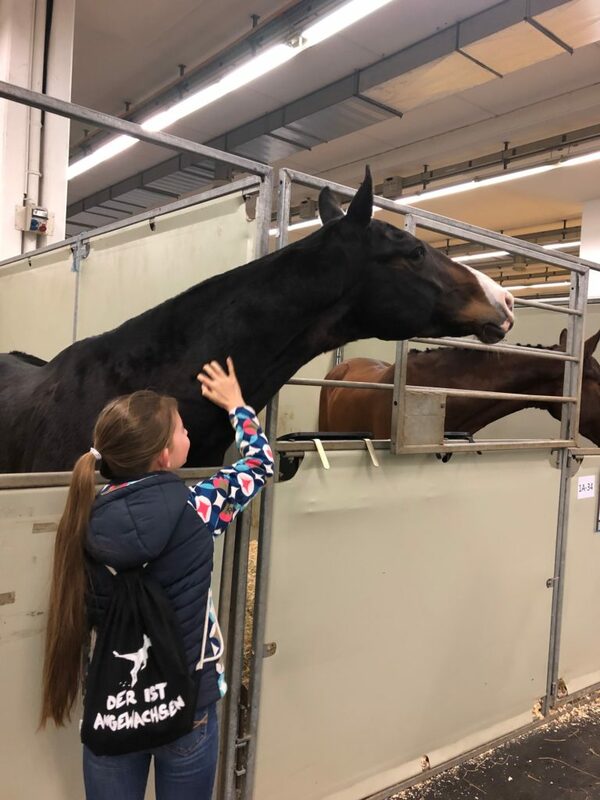 Amazing Grace and Degni Shael were located directly in the basement of hall 1A, where they had a perfect view of the action in the arena. 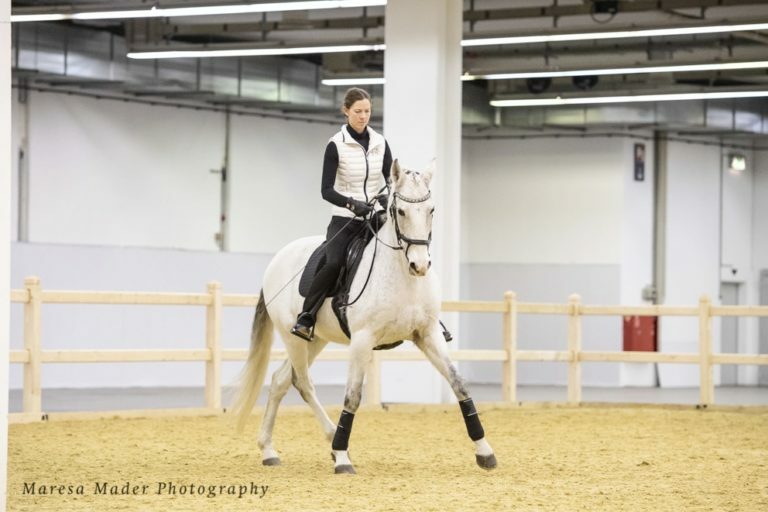 In addition, the Lusitano Bue was also engaged for the Reiten im Damensattel e.V. 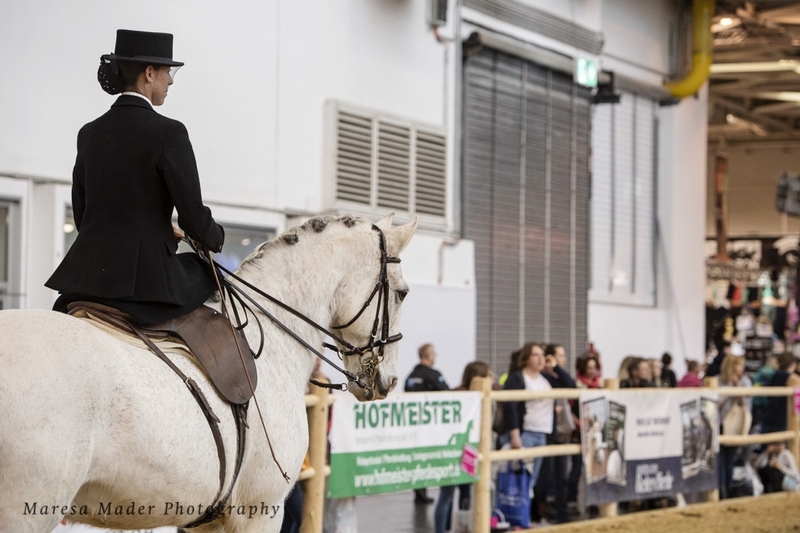 (side saddle riding) and therefore stabled at the other end of the fair. 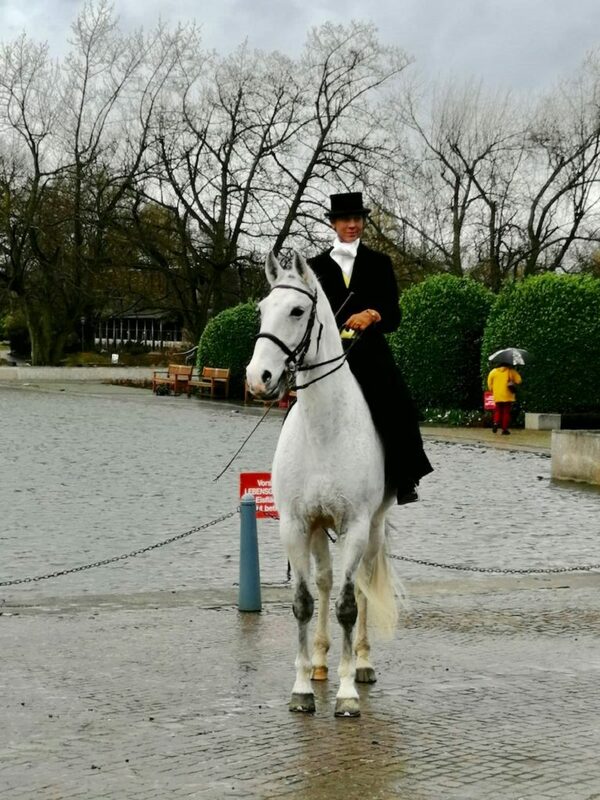 The gelding courageously mastered the rides across the fairground in the most adverse weather conditions. 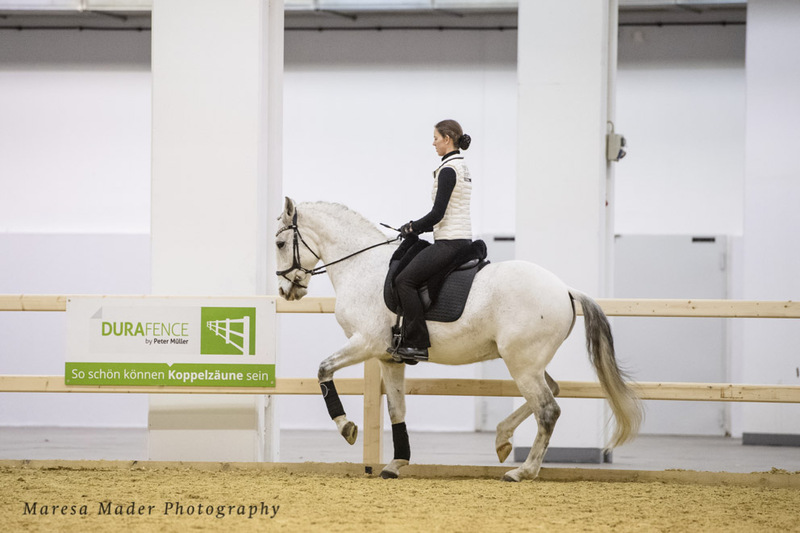 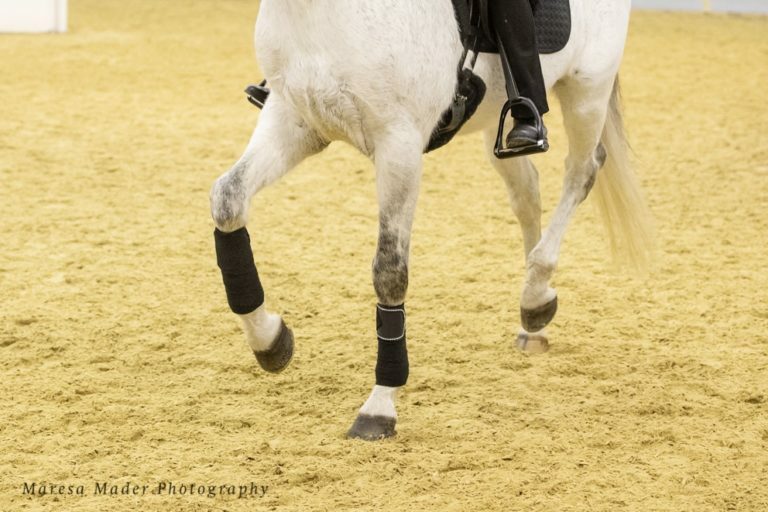 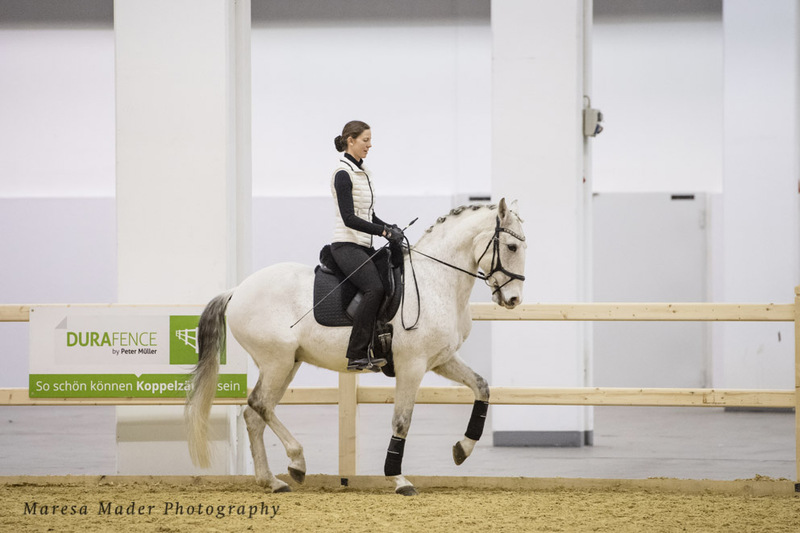 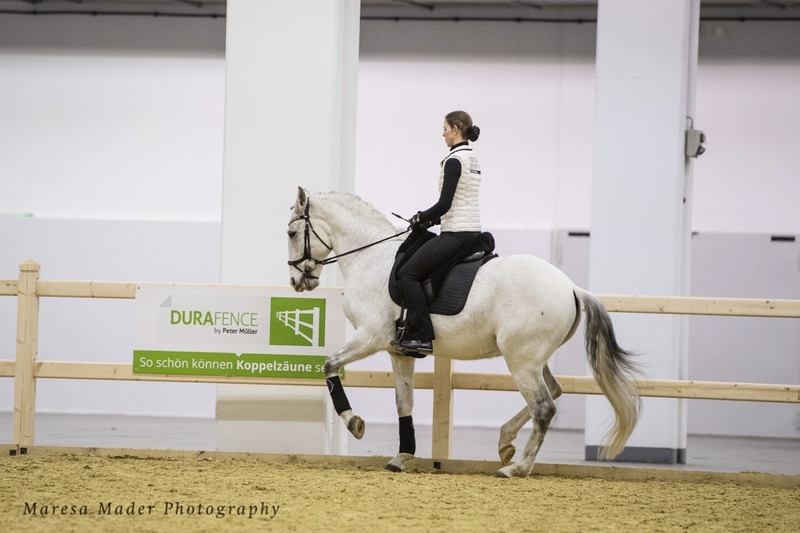 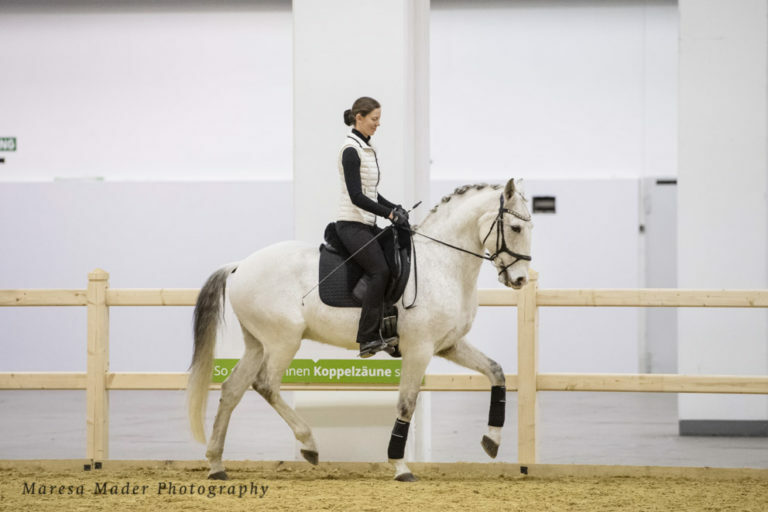 Vera Munderloh rode the Lusitano Bue for five days in the program of the RID (Reiten im Damensattel e.V. – side saddle riding) in this particularly elegant way of riding. 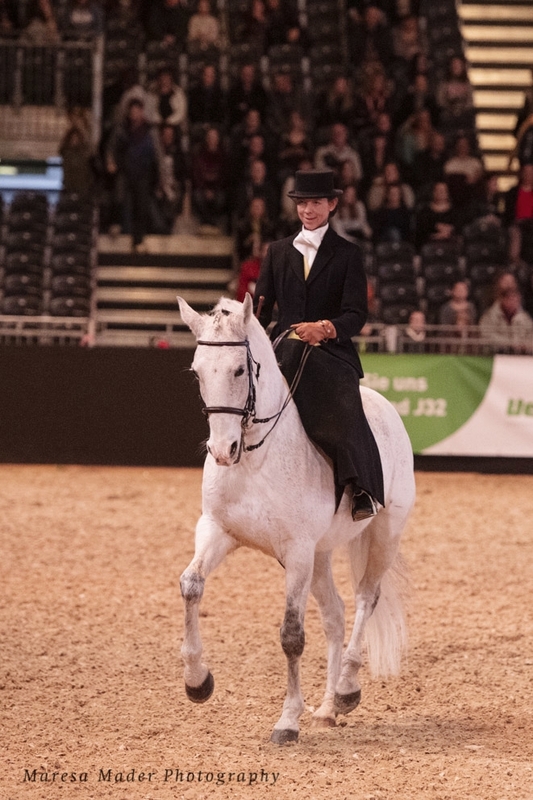 The riding in the side saddle has a long tradition and requires a very well ridden horse that follows his rider confidently. Vera Munderloh and Bue presented themselves impressively and showed beautiful piaffe and passages in historic riding costumes. 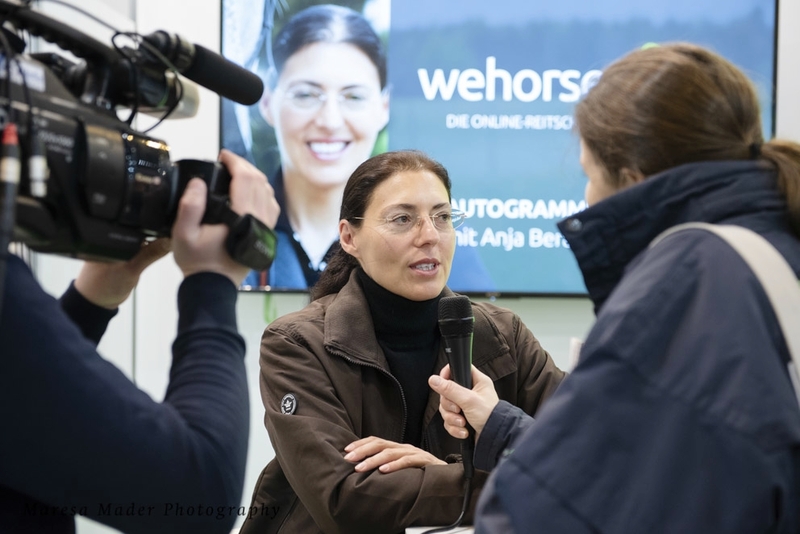 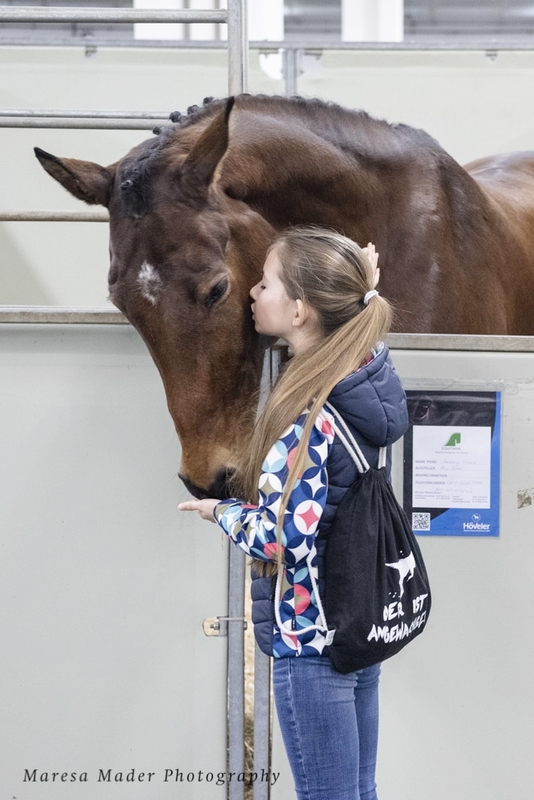 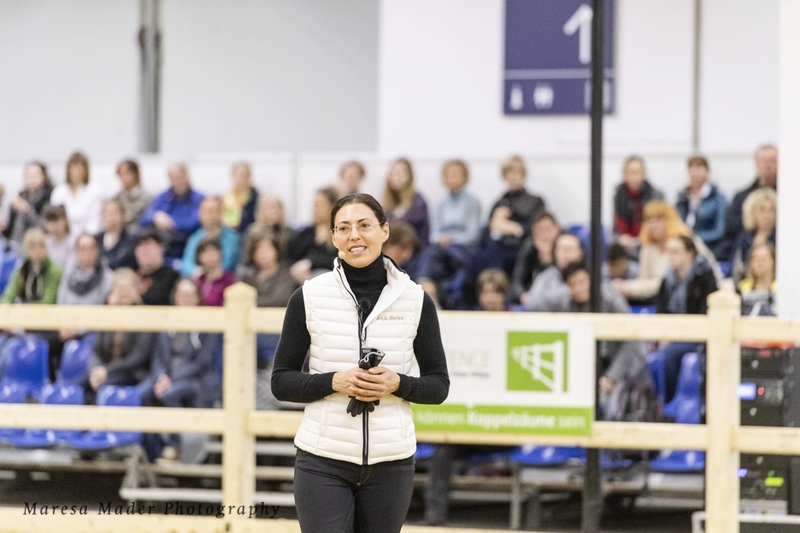 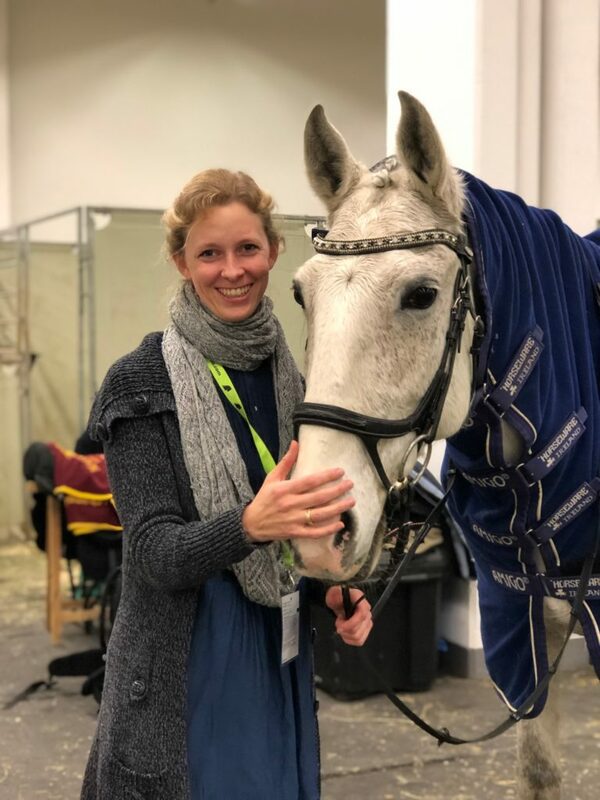 Two days at the EQUITANA went by so quickly, but despite the demanding seminar and show program, Anja Beran found time for autograph sessions with wehorse and KOSMOS as well as for some interviews and small talks. 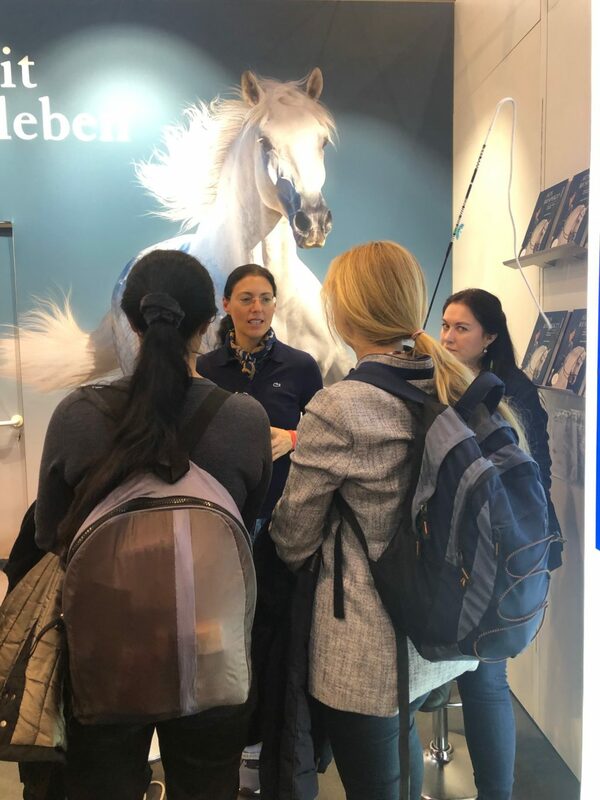 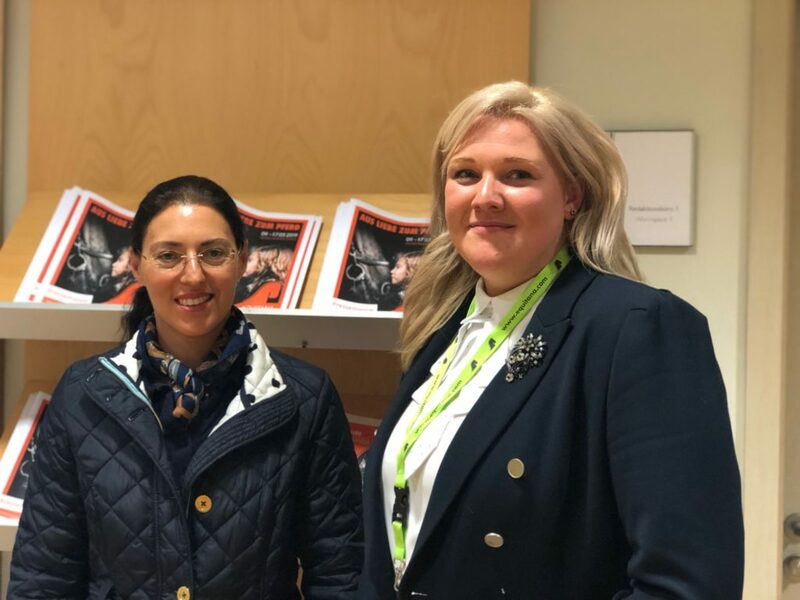 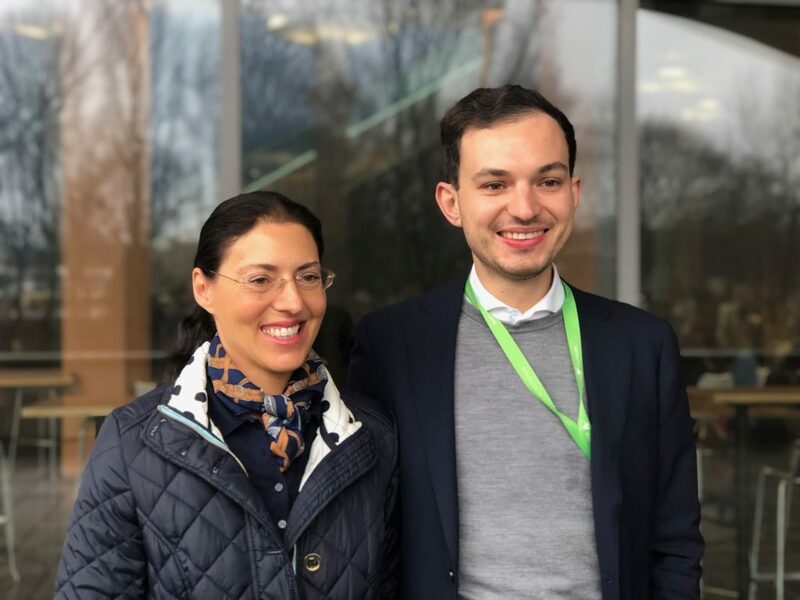 It was also a great event for us with many interesting impressions and encounters and – which we are particularly pleased – with a lot of positive feedback! 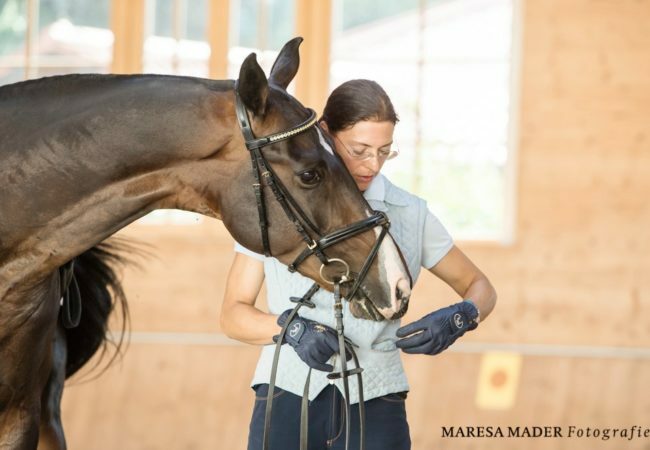 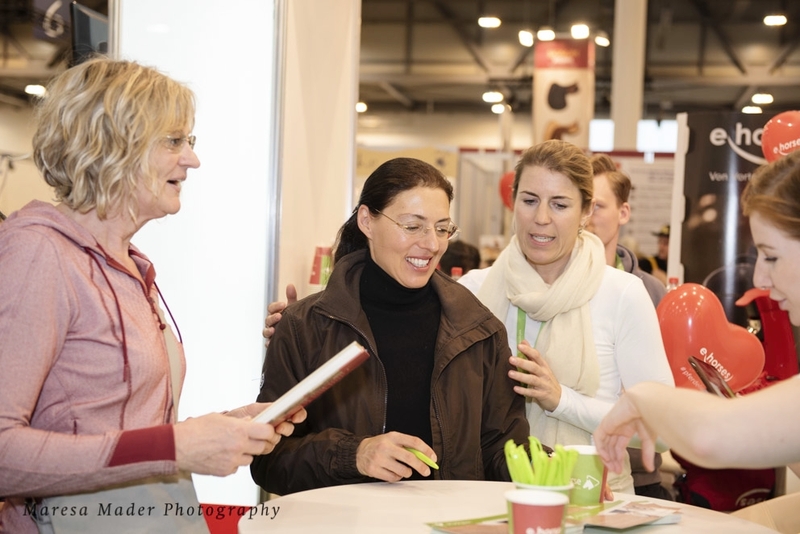 As always, photographer Maresa Mader captured all these beautiful moments with her trained eye for the right moment (www.maresamader.de).